This is the Cadman’s Cottage, so where the hey is everyone? It was a little before 6:00 p.m., and I was staring at this empty lot facing the Cadman’s Cottage. Days before this trip, I stumbled upon I’m Free Walking Tours as I searched for things to do in Sydney. 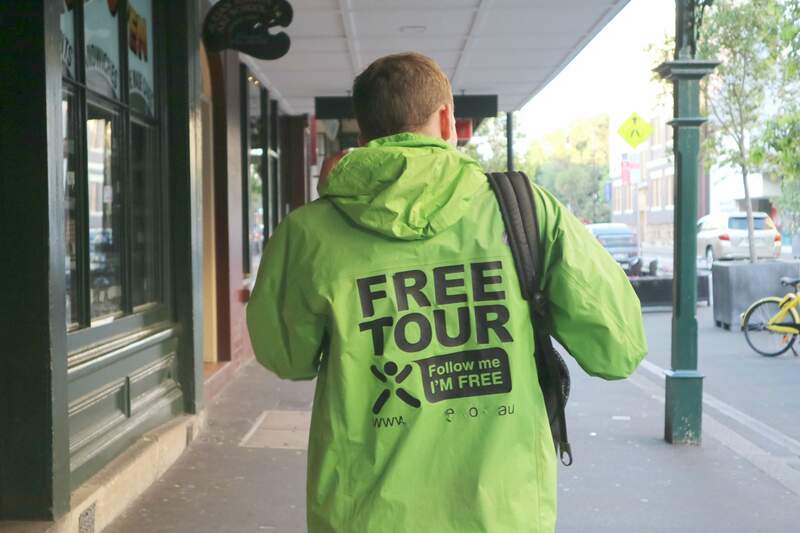 It’s an independent, small company that offers free walking tours in both Sydney and Melbourne. It was started by Justine and Ross, 8 years ago, running on a concept that people can just turn up and join their tours. In Sydney, they have two tours. First is the Sydney Sights Free Tour, which takes anywhere between 2 to 3 hours, and would help you learn and explore Sydney. The Rocks at 6 PM Free Tour, on the other hand, takes an hour and a half to finish. 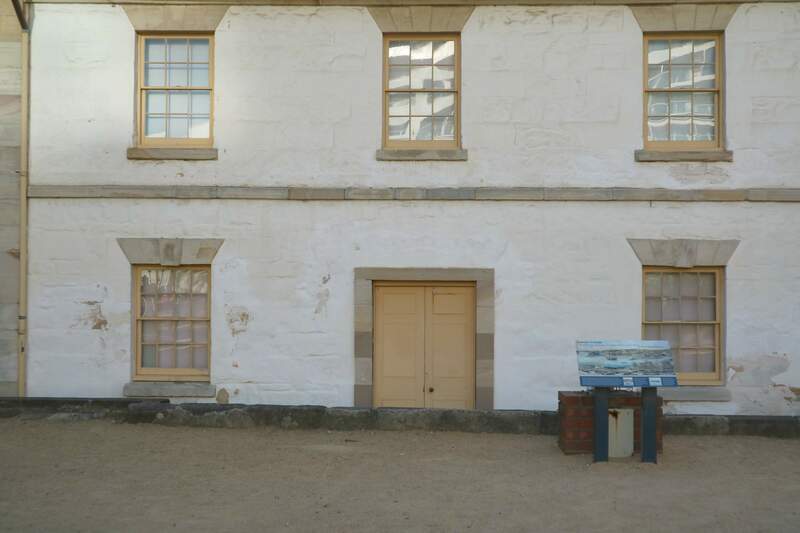 It focuses on the first European settlement site in Australia, called The Rocks. As you can see in the title of this article, I chose the latter, why? I was lured by the description says, “We’ll explore its laneways, pubs, and historical buildings and tell you its stories of murders, muggings, and mysteries.” What could be more exciting than that? If you’re coming with a group of 10 or more people then you need to register for their Private Tours. If you’re alone or going with less than 10 people then you can just show up in the meeting place at the scheduled time. Note that when you sign up for the private tours, you will be given a quotation. Another thing to consider is, this tour is not exactly free. They do accept tips, no set amount, just whatever you think is worth the trip for you. This is how they keep the group going as any other organizations that run a free walking tour. I found a spot on the concrete stairs and waited for the others. Before long, a man in a green windbreaker sauntered over carrying a black backpack. I looked at the print on the back of his jacket, Free Tour, this is the guy. As I made the approach, I saw other people walking toward him. I waited on the sideline because the guy seems bent on talking with every single one of the joiners. While this was going on, more people started coming in until there were about 30 of us, surrounding this sandy haired guy who was busy introducing himself and asking people where did they come from. This happened in November, I honestly can’t recall anymore what we talked about aside from me telling him my name and my country of origin. His name is Josh, a student majoring in History Honours (USYD) Focusing on Australian History. He’s a lanky guy with a clear, booming voice. Imagine we were outside, and he was leading over 30 or more people, yet we could all hear him sans a megaphone. Pretty amazing if you ask me. As in the two other walking tours in which I had been a participant, I stayed close to the tour guide as much as I could. The others trailed behind us, mostly white people but from different nations. I spotted 3 other Filipinos in the group, but I kept to myself and never really engaged anyone in a conversation. Josh’s story began in our place of assembly, the Cadman’s Cottage. The Rocks pertains to a neighborhood in Sydney, well known for its historic lanes and buildings, that go as far back as the 18th to the 20th centuries. It is said that there are over 100 heritage sites in The Rocks, including the oldest house in the area, the Cadman’s Cottage. Built in 1816, the Cadman’s Cottage was used by coxswains (people in charge of a boat). Over the years, its function has been changed from being the headquarters of the Sydney Water Police to a sailor’s abode. It was named after John Cadman, a British man sent to Australia in 1798 for the crime of stealing. Back in the day, Australia was used as a penal colony. In layman’s term, this is where the British government cast away their prisoners in the 17th century. 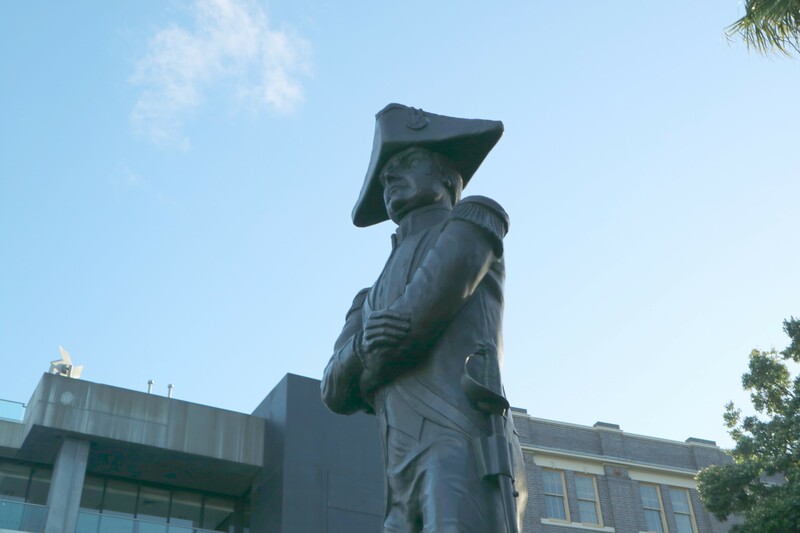 We stopped by a brass statue of William Bligh, a British Royal Navy officer and former governor of New South Wales in 1806. He is best remembered by a military junta called, Rum Rebellion. The event went down to history as the only successful armed takeover in Australia. It is said that during those time, rum is not just a liquor, but a form of a currency. Money runs low and so a barter system is practiced and used to pay wages and buy goods. Convicts, as well as military men of lower ranking, were often paid in goods, the most popular of which is rum. The Rum Rebellion is said to be a struggle for control over the rum trade, which in this period, had an immense influence on the course of commerce and politics. Bligh was notorious for his tyrannical approach to leadership. Before long, he has gained the ire of other leaders including John Macarthur and the officers of the New South Wales Corp. The rebellion has successfully overthrown Bligh from his position, all ending with him being found hiding under the bed. Along George Street lay the 3 locations significant to this tour. 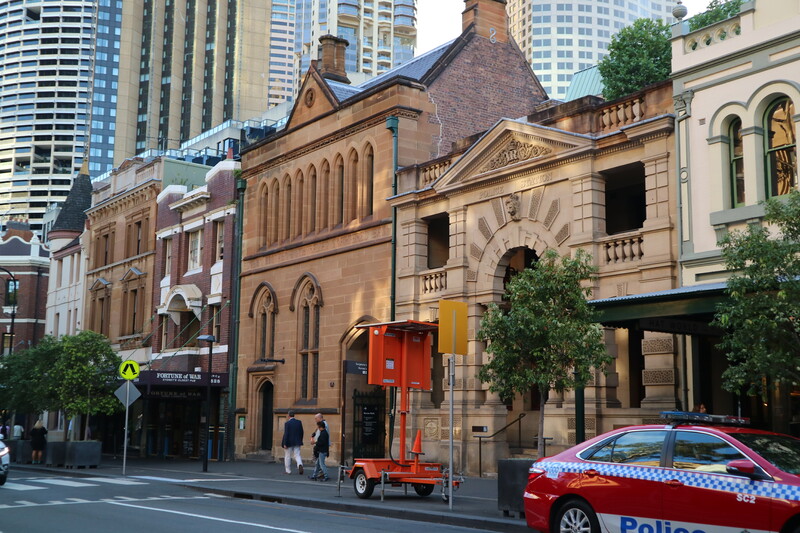 First, we saw the oldest pub in Sydney, Fortune of War, adjacent to it is the Police Station, both are an impressive display of Victorian architecture. We also learned about the Marino bank, a bank constructed by convicts and the subject of the first banking robbery in Australian history. In 1828, a five-man robbery team led by William Blackstone went through the sewage drain to access the vault of the Bank of Australia along George Street. Over AUD 20 million worth of promissory notes and coins had been stolen. 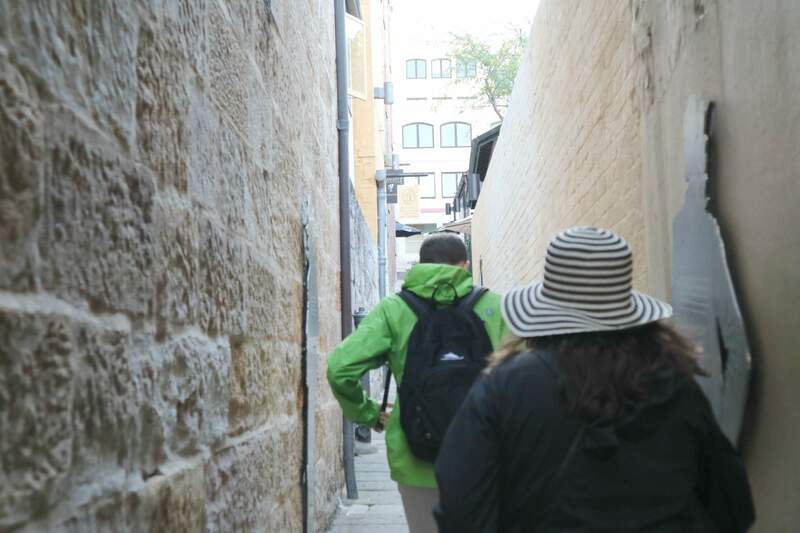 My favorite spot and story in this tour is the narrow alley that carried a dark past, the Suez Canal. It is named so by the residents by the torrent that poured over this area when it rained. This alley was used to be feared by the residents because of the hooligans that lurked in the shadows, waiting for unsuspecting victims, usually drunken sailors, to rob them. Suez Canal was also the battleground between two group of thugs, the Orange and Green Pushes who used to rule The Rocks between 1870s to 1880s. 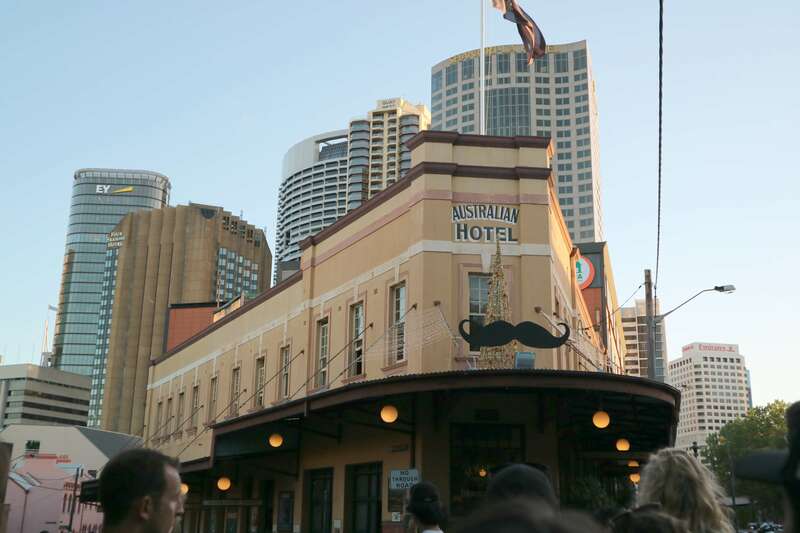 As we stood outside the Australian Hotel, Josh told us the history of the discovery of Australia. We learned that it used to be called, Nova Hollandia (New Holland) named by a Dutch seafarer, Abel Tasman. But before that, European sailors called it Terra Australis Incognita, which translates to, unknown land of the south. Built in 1824, Australian Hotel is one of the first pubs in the area. The hotel still stands to this day and is among the favorite watering holes of the locals and tourists alike. The old building is of Edwardian architecture, with many of its old features, such as the metal awnings, tap faucets, and saloon bar doors remain intact. 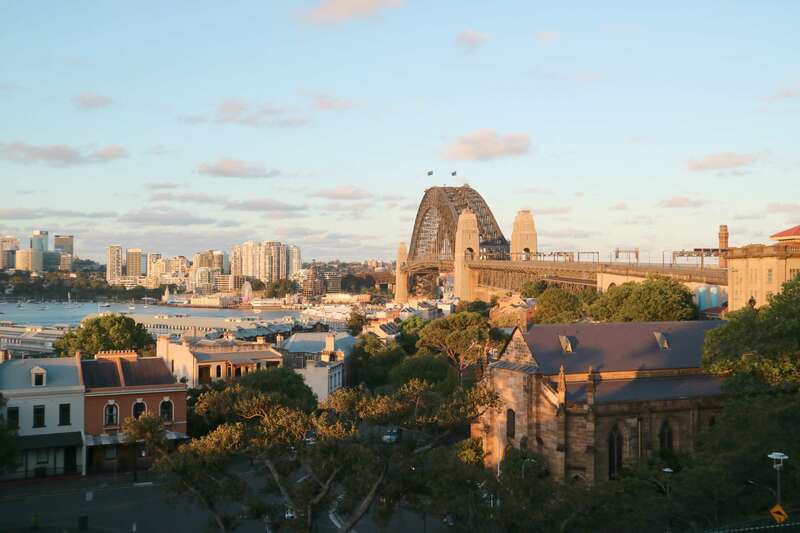 If you want to enjoy the unobstructed, panoramic view of Sydney then head down to the Observatory Hil. There you can see the world famous, Sydney Harbour Bridge and the beautiful harbor. 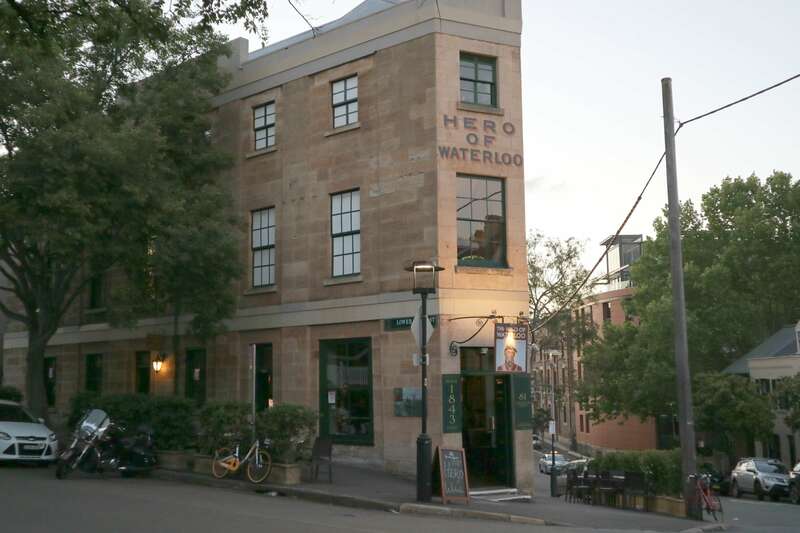 The Hero of Waterloo is another old hotel and pub with a dark history of its own. Its cellar is said to have been used as a place for the illegal recruitment of sailors, by means of getting an unsuspecting young man drunk and then dragging him to the tunnel. The next day, the man would wake aboard a ship in which his life as a sailor, a path that he obviously did not choose for himself, would begin. Another haunting story that seems to add appeal to this hotel is the ghost of Anne Kirkman. According to rumors, a man named Thomas Kirkman pushed his wife, Anne, down the stairs causing her demise. Since then, some paranormal activities have been reported by the guests and the staff, like the mysterious playing of the piano in the middle of the night. 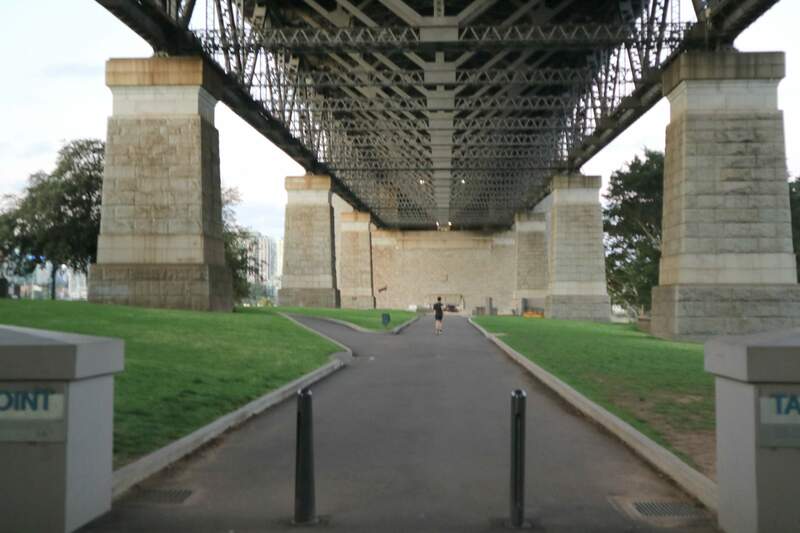 The tour concluded under the Sydney Harbour Bridge, a steel through arch bridge that is one of the most popular tourist landmarks in Sydney. By then, I was tired and hungry, ready to call it a day. The tour had been long and quite informative and I tried my best to keep notes to retain all the knowledge. We all dropped our donation to the bag that Josh was carrying and we said our thanks for the wonderful tour. By and large, the tour helped me gain a deeper understanding of Australia’s history, along with it, a better appreciation of Sydney. I would definitely recommend it anyone wanting to have a dig into the history of this city. Note: This tour happened on the 12th of November 2017. Free Walking Tours? I was really curious about “How to they keep their business then?”, well until you explain that they do accept tips. I think the concept is good and I actually hope that there could be companies like this running in the Philippines, like Intramuros perhaps and Luneta. Working for an Australian company, I am really intrigued about there culture and tourist spots. I can only name a few like, Ayers Rock, Great Barrier Reef, etc. but this one is quite unique as it goes straight to their culture. One day when I visit the Down Under I will take this tour. Wow! Seeing these makes me want to go back here in Sydney and try those walking tours. From what you listed, we’re only familiar with the George street and the Harbour Bridge. I’m quite interested with how did Australian government was formed although I heard it’s something controversial. Margorie, your blogs are always an interesting read! Among the many things you have mentioned in the post, i was really fascinated by the Hero of Waterloo and the scary story behind it. This tour sounds like a great way to understand the part of Australia one doesn’t normally know. Loved the stories especially related to Australian hotel. Thanks for sharing this with me. I would love to go on this tour someday. I find free walking tours much more economical.It gives you exercise lol and an actual feel of the city.You have virtually given me a trip to Australia.The hero of waterloo kind of scares me and it sounds spooky lol.Cadman’s cottage looks like a vintage dolls house. All the places seem beautiful and worth exploring. For me, the attraction is that you get to visit them as a part of a walking tour. Because thats the way I like exploring places. And moreover, as you mentioned, if in a smaller group or solo, we could just walk in and join their trip, which sounds so convenient and easy going. This is an amazing tour. The Observatory Hill from where you can take a view of the Harbor interests me most as you get a panoramic view of the harbor. Also, you have covered a lot about the European settlement and the dark days. You have written very nicely your walking tour into words. I have taken walk tours in Zurich and other cites in Switzerland, but they arent free. I have to take this tour when I am in Australia next. Thanks a lot for sharing it with us. This as such an informative and interesting post. I have never been on a walking tour before. Your post was like a virtual tour of all those places which most I have not heard of! Thanks for the information regarding the tour. 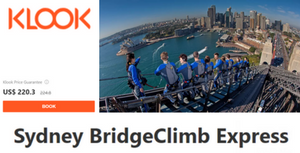 If I visit Sydney I will definitely consider taking this tour! I really am left with nothing to say. From the introduction to the end, it filled me with restrained giggles. My favorite piece of information is the one about the rum payment system. However, George Street reminds me of the hit series Mr. Robot where instead of hacking the system to rid everyone of debts, they stole promisory notes. Hahaha. sydney seems a great place to visit and i heard a lot of great stuffs about this place. i gotta find that guy who offers free tour to do me a favor. Wow this was a great tour. I love free walking tours. It reminds me of Sandeman’s Free Tour I took in Amsterdam last summer. Usually the guides are very well-informed and gives you a lot of information about the past and the galore and the dark days as well if there are any. Great informative post! You’ve toured me around with your amazing way of conveying your experience into words. I have not tried free walking tour before and looks like an interesting thing to do when I get to visit Australia soon. I also love that you’ve chosen the rocks, which is about the first European settlement site in Australia. I will surely include this tour as well If I get the chance to come here soon, I love that you were able to cover a bit about the history of the place and you showed us the panoramic view of these places as well. Thank you so much for bringing me to the other side of the world virtually Marge. Very informative post about Australia and its history. The Hero of the Waterloo old hotel story though is kinda spooky. If I have to go to Australia I have to find this free tour like what you did! Thank you for taking me to Australia through this post.